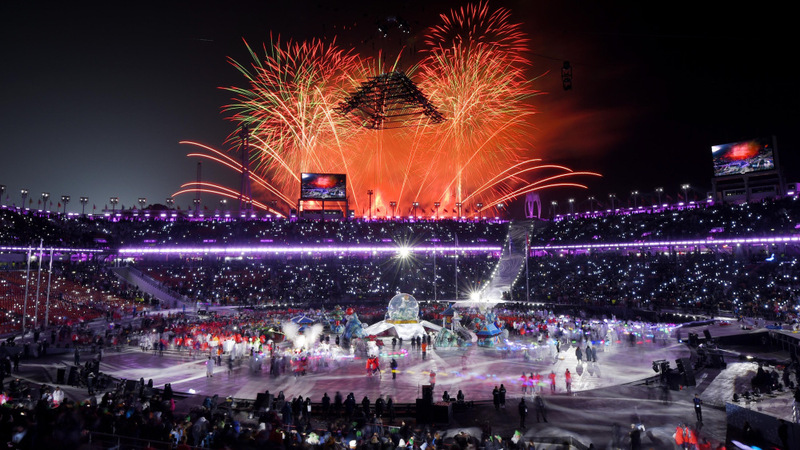 The closing ceremony for the 2018 Winter Olympics was a masterpiece that will definitely be remembered as one of the most amazing closing ceremonies of all time. I personally watched half of the ceremony and I truly enjoyed it. The ceremony, attended by 35,000 people including Ivanka Trump, consisted of various unique performances. The first part of the closing ceremony featured a young guitarist named Yang Tae-Hwan who won the crowd over with his music as he played from the summit of the stadium. Apart from the guitarist’s phenomenal music, the dancers that accompanied it truly shined as the ramp below him transformed into a jumbo guitar fret with acrobats in light-up suits scaling the three “strings.” The second performance featured a solo dancer performing Korea’s traditional Spring Dance of Nightingale on the ground stage with the sound of the geomungo, a traditional Korean string instrument. The crowd went wild when the athletes, some waving their country’s flags entered the stadium dancing to a live Korean band named EXO play. However, the biggest cheer occured when the unified North and South Korean team both entered the arena together for the first time in 17 years. The Pyeongchang Olympics officially ended with the ceremonial lowering of the Olympic flag and the raising of the flag of the next games’ host country China, before the Olympic flame was extinguished. Despite the tensions in the world, the Olympics served as a symbol of hope. Not only did the two divided Koreas play together under one unified hockey team, they walked together under the same flag for the closing ceremony. The Korean president Moon Jae-in said, “The Olympic Winter Games at Pyeongchang has come to an end, but the time of peace will continue.” Likewise, these Olympics – and the spectacular closing ceremony – made a difference, albeit a small one, and brought peace among nations that we would never have expected.